Angelika Laich is an Of Counsel Attorney with Urban Their & Federer, P.A. She is based out of the Munich office. Ms. Laich’s practice focuses primarily on corporate law, inheritance law including estate tax matters, and real estate law including residential and commercial landlord-tenant law. She has a long-standing client base that includes private individuals, family businesses, and small to medium-sized companies. 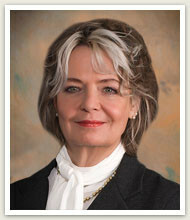 Ms. Laich is a member of the German Bar and the German Attorney Association. She has been admitted to practice in Germany since 1987.